Photographers: Start Your Business NOW! If you want a strong business, start referring out. It will help you in ways you can't even imagine, and it's about building up your community. Photography Isn't a Real Job! If you wondered how I select which jobs to accept and not, this is the same chart that I use and have it pinned to my wall. If you want your own copy, click the link here. If you're looking to get credit for your photographs on Instagram, this is the right podcast for you! Listen to the steps and see how you can fight this. Have the uncomfortable chat with your photography clients, it’s the difference between a good photographer and a magnificent artist. Become the master photographer in your area! In this episode learn how to become the master photographer in your area and easily book many clients without much ad spend at all! This is a very helpful podcast that will help you get a solid start to 2019 and beyond. This is a very helpful podcast that will help you get a solid start to 2019 and beyond. To read the full article click here"
How can my photographs stand out? 82: Know your Value, Charge your value! 77: Build your Fashion Photography Portfolio (Part 3) FREE WORK?! 74: Photographers Make it Easy for them to Hire You! 73: Jack of all trades NO MORE! 71: Change your Words, Make more Money! Photographers check the words that you use. Words change how others perceive you. How they perceive you is how they value you. How they value you is how much they think you're worth paying. BOOM. Get your money! 69: Photographers with less Style, Earn More! Sign up early for the course - howtophotograph.net/subscribe-photograph-guide/ You will regret it if you miss first tier pricing! sign up early for the course - https://howtophotograph.net/subscribe-photograph-guide/ You will regret it if you miss first tier pricing! 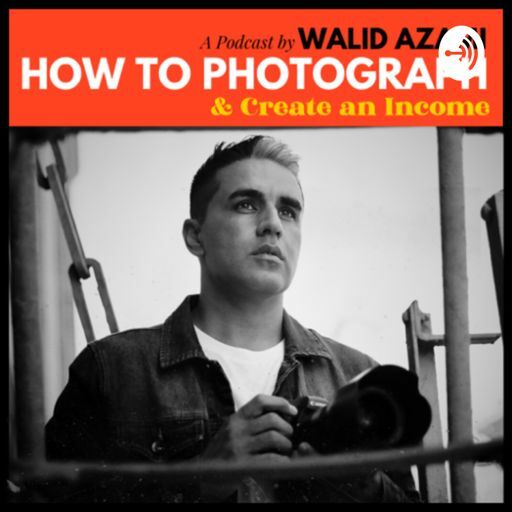 If you are interested in starting a photography business, THIS is a must-listen episode. Please bookmark it! 63: Build a Long Career with these 3 Questions for each Client! 60: Photography School Announcement! BIG!!! First of all, this is a GREAT thing! Listen to why I think this is so good. howtophotograph.net/photography-ebooks these are the books that I wish was around when I started! 57: The Model Wants the Photographer to Pay! In this latest podcast, I go into 3 red flags potentially bad clients show, and how you can recognize them. This may or may not be from a personal experience in the past couple of weeks...allegedly. 54: Photographers You NEED Community! If this podcast taught you a few things, please consider sharing with your community. It's important we all climb up together and learn from each other! Episode 50: Your Competition Works for Free? Episode 49: Mood Boards That Get You Hired! I break down my entire pitch, mood board and how we ran a photo shoot for The Bouquet Bar upon their big launch! THIS PODCAST WILL SAVE YOU A COUPLE YEARS OF TROUBLE. Forward it to a loved on or bookmark it! Episode 48: Photography Tips from a Model! If you have been wanting to work with models, this is a good one for you! A Wilhelmina model speaks to photographers about what makes them feel comfortable on set, shooting instructions, and how to contact them! Episode 47: Photographs You NEED Boundaries to Succeed! Episode 46: Quick tips on underwater Photography! If you're looking for quick tips on how you can get the best photographs for your underwater photography, check out this podcast. If you want more tips click the link below! Episode 44: When Client says, "We Found a Cheaper Option"
First of all this is a GREAT thing! Listen why I think this is so good. Episode 43: How Do I Select a Model? How do I select tomorrow for an upcoming photo shoot? What are the things I look for? And this podcast I go over three of my favorites and if you click the link below, you can see the entire list! Episode 42: Client said What to Me?!? Episode 40: Cheap Lighting Hack! Episode 39: Machines Taking Over Photography Jobs? What is a portfolio review and how can it help you build a stronger career in photography? Meetup.com will get your more photo clients than FB Ads! https://howtophotograph.net/photography-ebooks/ Get the books for free today!!! In this episode I show you how a quick lie can give you a beautiful set of pictures, listen and learn! https://youtu.be/dfl3qnEjHKE Click this link and it will take you directly to the YouTube video. This is one video you cannot afford to miss, it works on brand new models and advance models. It’s finally shifting, we are doing it together as one community! Buy THIS video shotgun mic! https://youtu.be/jkQfDQwtWVw this video microphone is a game changer because it can do what the expensive ones can do for under $30. I am not getting paid for this endorsement. Do they want you to fail? https://howtophotograph.net/camera-reviews/vero This is a social media app you should join and support, here are 11 reasons why. What do you do when somebody says, “trust me”. What do you think is the best answer? Should you give them your work or run away? For photographers wanting to stand out, follow these easy instructions and it is sure to happen. My thoughts on the service, these are painting as you may or may not agree with. I invite you to make your own judgment. About me and this channel! Latest Camera to get a job? Drew from North Carolina asked if he should use military benefits to gain an education in photography, or is there a better method?